Author, educator and parenting speaker, Vivian Kirkfield: Is Your Child Being Bullied? Subtle signs that point to a bullying problem and an action plan for parents. I just got back from the 9NEWS TV studio in Denver and wanted to share with you the piece we did on bullying. With the new school year just getting underway, kids need to be prepared with more than just a new outfit and a shiny backpack! Parents also need to be aware of the subtle signs of bullying and what they should do if they suspect a bullying problem. Bullying is a problem that has been around forever…but the effects on our children seem to have intensified, especially with texting and social media available to the bullies. –>KUSA – Denver Public Schools started back on Monday. Even though many kids are excited to see friends who were gone over the summer, some children are dreading returning to school due to bullying. So, how do you know if your child is being bullied if they won’t tell you? Vivian Kirkfield joined 9NEWS at 8 a.m. on Monday to discuss some warning signs that your child may be a victim of a bully. Kirkfield says another sign may be your child not wanting to take the bus to school or are walking a different route to school. But the signs may not just be from your child returning or going to school. The issues may permeate into family relations also. Kirkfield says sudden complaints of health conditions like a headache or a stomach ache may be a sign too. “Although all of those symptoms could be caused by other problems, a parent really needs to be sensitive to it and act upon it,” Kirkfield said. A lot of times, a school will notice a problem on a playground and give parents a heads up. However, if that’s not the case, how does a parent confront their kid about possible bullying? Kirkfield says a child might be much more willing to talk about something like that than to come straight out and admit they are being bullied. Kirkfield says parents need to stay involved in their child’s school. Jake at Time after Time has a Sunday Post Challenge and every week he provides a theme…this week’s theme is FROM A DISTANCE. Are you wondering how I will connect this theme to an aspect of parenting? Family dynamics are constantly in a state of change. We shouldn’t expect everyone to get along all of the time. 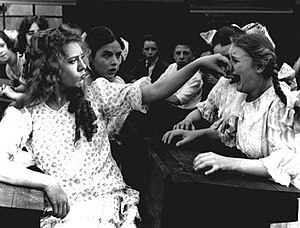 Siblings do fight…and parents do disagree. Hopefully, harmony prevails in your home most of the time. If it doesn’t, perhaps you want to change that. Do you feel like you are constantly yelling at your kids? Are you dealing with a family issue that seems to be getting out of hand? Sometimes it ‘s helpful to take a step back. FROM A DISTANCE, we can view the situation from a different perspective. When we are in the middle of the problem, it is hard to think clearly. Take a time out…tell your child or significant other that you need a few minutes. Go for a walk…family walks are a wonderful bonding activity…but walking alone allows you to think without distractions. Consult a professional…an objective observer can guide the conversation or help with alternate responses. To strengthen family bonds, why not plan activities that the family can do together. We had an evening reading time when our children were small. 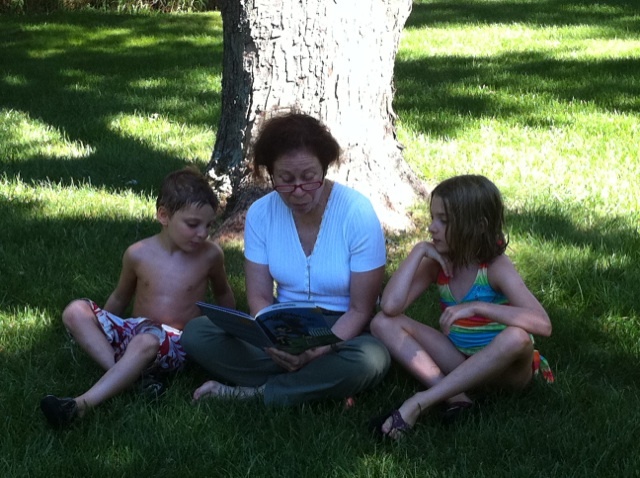 Books are enjoyed by children of all ages and the older ones still love being read to. They also like to read to younger brothers and sisters. Set aside some time after dinner for family reading. Children need to see their parents reading for pleasure. Choose a picture book and read it with your young child. If you have older kids, they can take turns being the reader. If you need help picking great picture books: Show Me How! Or visit Susanna Leonard Hill’s Perfect Picture Book page. Schools are opening all over the country and we’d like to give a free copy of Show Me How! Build Your Child’s Self-Esteem Through Reading, Crafting and Cookingto your favorite school or classroom. Nominate your child’s school or other childcare facility in the Show Me How School Initiative by leaving a comment and telling us why you’d like them to have this book. If you don’t have young children, but know people who do, please tell them about the free book their child’s school can receive! Have you checked out the new book by children’s author Marty Banks? 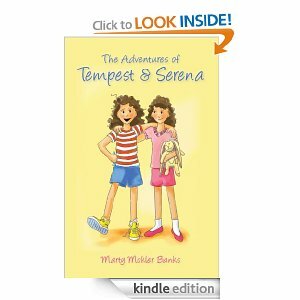 The Adventures of Tempest & Serenais a wonderful chapter book for readers ages 7 and up. I reviewed it the other day and want to remind you about the free download…Sunday is the last day for that! I’m so very excited today! Do you know why? It’s because I’m reviewing a fantastic book that will help EVERY parent of toddlers and preschoolers: The Happy Mommy Handbook by Katie Norris (a real mom with two small children) and Susan Case (a retired kindergarten, Special Education and early childhood teacher). And, if you click on this link, you’ll be able to take part in an amazing LIVE Google+ broadcast…there will even be a chance to interact with the authors when the short presentation is over. It starts on Wednesday, August 22 at 11am CDT (Texas time). Susan and Katie will be uploading the broadcast to YouTube, so if you miss it, you will be able to see it at a later time. Toddler & Preschooler Activities, Real Help for Real Moms, Nuturing Yourself So You Can Nuture Your Children, Preparing Your Child for Kindergarten, Helping Your Child Learn to Read and more. Real moms have real problems as they parent their children. The Happy Mommy Handbook begins each section with Mommy’s Dilemma…a common scenario any parent might experience. In Chapter One, a mom is overwhelmed with all that she has to do…ready to turn on the television AGAIN to keep her toddler busy while she starts dinner. Instead, she opts to set her child up with a bunch of cups and a bowl of sand at the kitchen table. After sitting with her child for a few minutes, showing her how to fill the cups and transfer the sand from one to another, the mom was able to leave the child, happily “playing” while she went to make dinner…and she even had time to sit down at the table and pay the bills. In each chapter, Mommy’s Dilemma is followed by Teacher’s Advice,…a simple explanation of the theory behind the activity and why a child needs to have time doing that particular activity. The book is filled with dozens of simple fun-filled activities, suggestions for books that build self-esteem, recipes for staples like clay and lists of materials to have on hand that will encourage your child to grow in learning and confidence. The authors also address topics such as fine and large motor skills and the importance of play, both indoors and outside. I love this book because it gives quick and easy solutions to problems that parents face every day. The explanations will help a parent understand the importance of each activity. The book encourages moms to keep it simple and positive…which makes for a happier home for everyone. I even love the size of the book…small enough to slip into a handbag…but chockfull of everything a parent needs to know about keeping young children happy and busy. This is a book I wish I’d had when my kids were little! 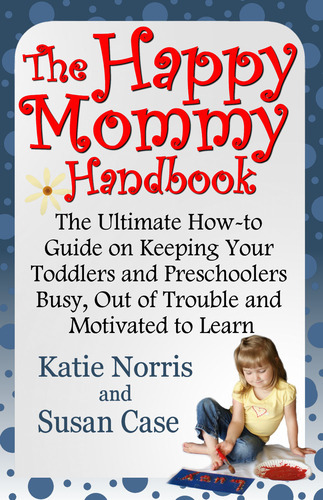 I’m so thrilled that it is available now…what a great gift for any busy mom or grandmom…and a wonderful resource for babysitters, daycare providers and nursery and preschool teachers! The Happy Mommy Handbook is available on Amazon in paperback and on Kindle. 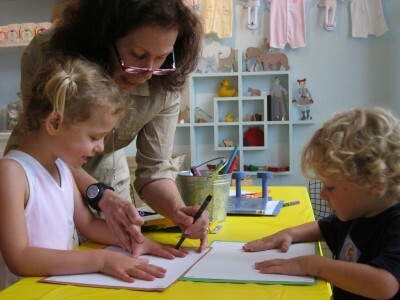 If you’d like to know more about Susan Case, you can check out her blog, Kindergarten & Preschool for Parents & Teachers. 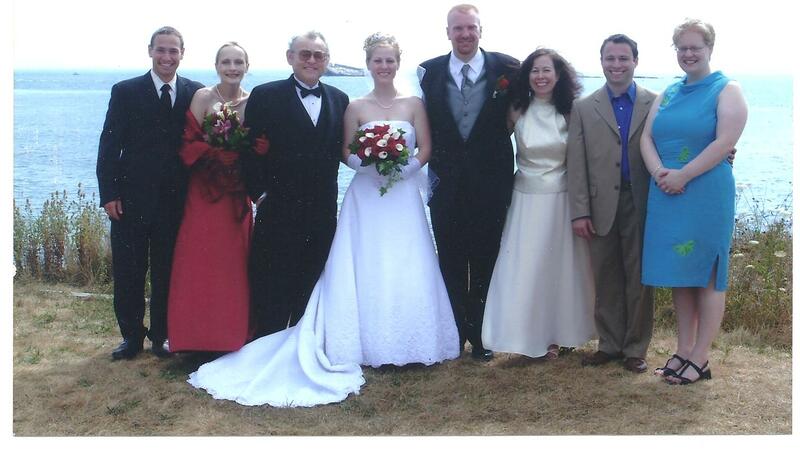 If you want to meet Katie Norris, visit her blog, Mommy With Selective Memory. Please don’t forget we are accepting nominations for your favorite school or classroom to win a copy of Show Me How! All you have to do is leave a comment on one of my posts…telling which school should get a copy. At the end of September, we will select a dozen winners using Random.org. And remember to tune in Wednesday, July 22 at 11am CDT to the LIVE Google+ broadcast of The Happy Mommy Handbook with Susan Case and Katie Norris. If you come by my blog on Friday, there will be another treat in store for you. Do you want a hint? Another book review…this time it’s a brand-new chapter book for kids ages 7+ by a fellow SCBWI member, Marty Banks…and there will be a code available for a FREE download of the ebook ALL WEEKEND! Don’t miss it! 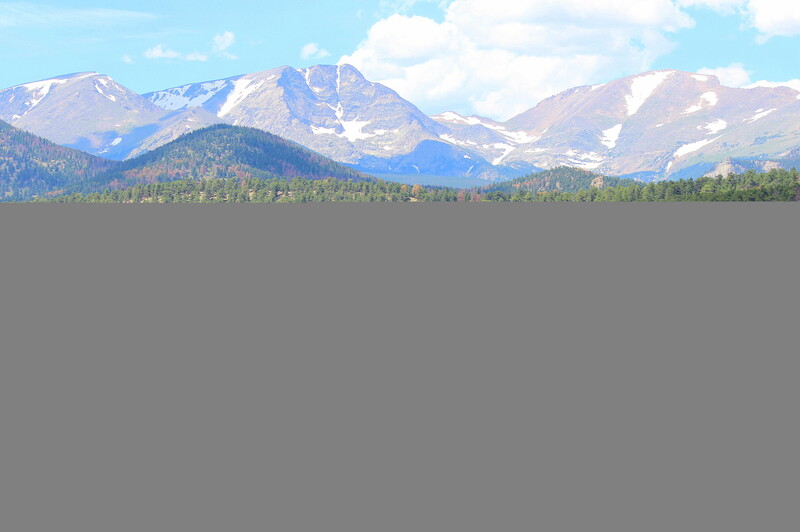 Sunday Post: Black & White…or Do We Parent in Shades of Gray? I always love to connect the Sunday Post theme to an aspect of parenting. As parents, we have many choices to make. Should we be strict or lenient? Do we move to the city or the suburbs. Will our children go to public or private schools…or should we homeschool? Parenting requires organizational skills…kids need routines. Parenting requires communication skills….kids need you to listen to them. Parenting requires compassion…kids need your love. Parenting requires consistency…kids need rules that are enforced. But setting rules does not means that everything is black and white. Is stealing wrong? What if your children were starving? Is killing wrong? What if someone is trying to kill you or your child? Perhaps parenting is a journey in “Shades of Gray”. Parenting requires participation…kids need your time. Practice Positive Parental Participation and your child will have a head-start to a happy and successful life. Spending quality time with your young children now will have a positive impact on their school performance. It also helps them build stronger relationships later in life. To be in your children’s memories tomorrow, you need to be in their lives today. Show Me How is the book that makes it easy and fun! Giving back is important to me. Part of the proceeds of each copy sold is donated to several children’s organizations. Schools are opening all over the country and we’d like to give a free copy of Show Me How! Build Your Child’s Self-Esteem Through Reading, Crafting and Cooking to your favorite school or classroom. Nominate your child’s school or other childcare facility in the Show Me How School Initiative by leaving a comment and telling us why you’d like them to have this book. If you don’t have young children, but know people who do, please tell them about the free book their child’s school can receive! At the end of September, we will be awarding a dozen books to the winning schools. Last, but certainly not least, I just came back from a local SCBWI meeting…one of the members, children’s author Marty Banks, has a new book out on the market. 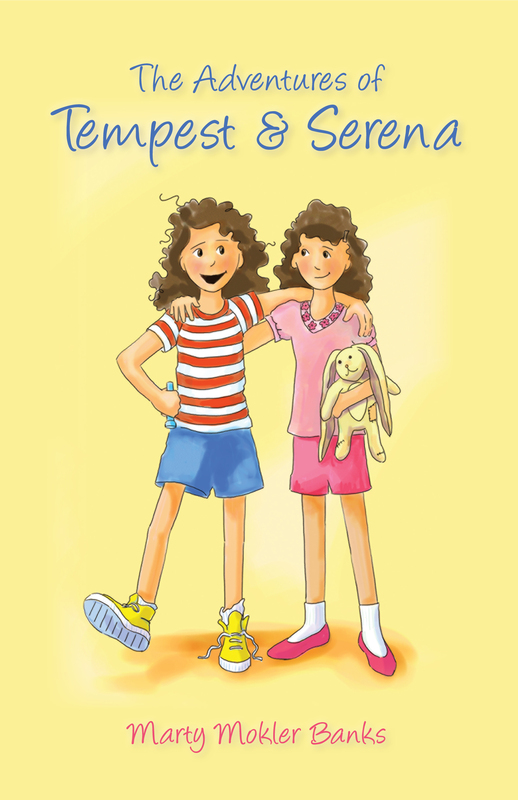 The Adventures of Tempest & Serena is a wonderful chapter book for readers ages 7 and up. I’ll be reviewing the book here in a couple of days, but I wanted to give everyone a heads-up about the free download that is coming up next weekend. I’ll post the correct URL when I do the review. I think this is a book parents and grandparents will want to buy for holiday gifting! 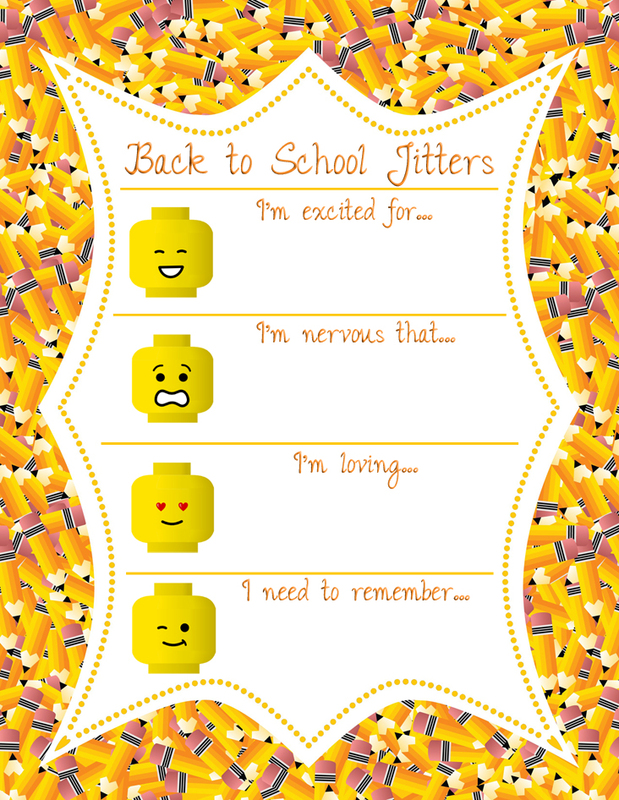 Back-to-School Jitters…Get the Inside Scoop on How Teachers Feel! Back-to-School Jitters are experienced by many children. But did you know that many teachers also fall prey to Back-to-School Jitters? If you’d like to find out what some teachers are thinking before the first day of school, please check out some of the teacher blogs that are part of the linky party organized by “A Turn To Learn”. I joined in on the fun also! Unfortunately, I couldn’t figure out how to copy with linky picture AND put my own words in…tech savvy I am not…although A Turn to Learn did provide a great tutorial…I’m sure almost everyone else would have been able to do it. I’m excited for…sharing my passion for picture books with eager kindergarteners. I’m nervous about…finding the time to do school visits and write picture books and work for a living. I’m loving…encouraging children to become lovers of books and reading. I need to remember…to speak with each child individually during the storytelling and crafting time. I’m looking forward to a new year of school visits…this year I plan to include my own picture book stories in the list I provide to the teachers. Last year I had the privilege of reading The Balloon Man to a Montessori Early Childhood class…the children LOVED it…and I was thrilled to share the story of the balloon salesman whose encounter with a mouse almost ended his career. Please check out the link to A Turn to Learn. Her blog provides amazing content…she sounds like a super teacher…the kind we all wish our children could have. I’ve also put a link to the Back-to-School Jitters linky party on my sidebar…you’ll get the inside scoop on lots of others teachers’ feelings, hopes and dreams if you click on there. The Show Me How School Initiative is still looking for nominations. If you’d like your favorite school or classroom library to receive a free copy of Show Me How! Build Your Child’s Self-Esteem Through Reading, Crafting and Cooking, please leave a comment on this post. At the end of September, we will choose a dozen winners using Random.org. I hope you’ll be back for my next post in the Back-to-School Series…Tips on Having the Healthiest School Year Ever!